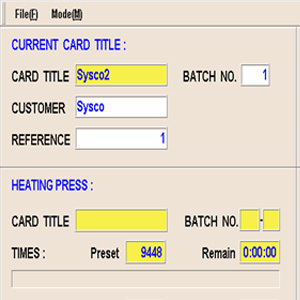 HCP is designed for the safe and efficient lamination of a variety of contact and contactless cards. Exceptional features to ensure perfect lamination result. Fully Automatic, Powerful thermal system, Large laminate area, Closed-loop transport system. Precise pressure control, Precise temperature control, Flat laminating plan, Graviton offset device. High rigidity structures, Famous bland component. Dynamic graphic, Memory of batch production, Memory of parameter. Energy Conservation, One man operation. PC-based control, Fault-finding diagnostics, Programmable setting, Tilt-able lay-up station. HCP is designed for the safe and efficient lamination of a variety of contact and contactless cards. 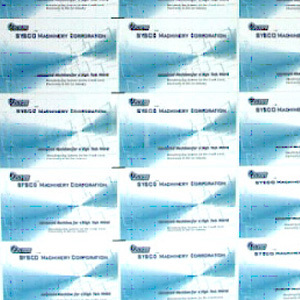 Card material consists of overlay films and core materials. Overlay films: PVC, ABS, Polyester. Core materials: PVC, ABS, PP, PETG, Polyester. 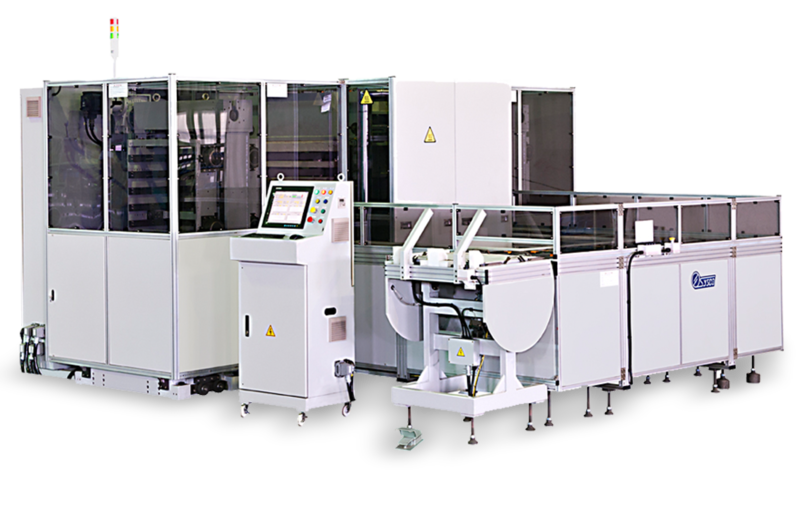 Production capacity is 9,000 up to 20,000 cards per hour. Max. laminating area in 880*660mm. Independent heating and cooling presses with high precision control (±1kg/cm2). The costly heating up and cooling down of the hot platens during each production cycle is totally avoided. The main frame of heating and cooling presses are constructed of rigid welded steel. The main hydraulic cylinders are hardened, ground and hard-chromium plated. The platens are guided by frictionless material. The closed-loop transport system significantly reduces material cassette loading and transfer time, resulting in much-reduced consumption of energy. 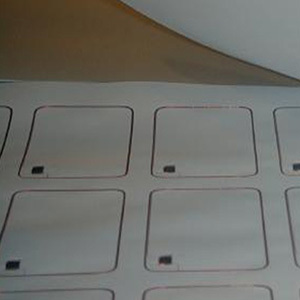 Suitable for lamination of contact and contactless plastic cards.